Growing up in the 1950s and ‘60s as the product of a Sephardic-Ashkenazic “mixed” marriage, I knew that Passover preparation consisted of scrubbing the house from top to bottom, chopping mounds of haroset by hand, and my parents’ annual “discussion” (i.e. passionate argument) about which foods were permissible for Passover and which were not. My Poppi — whose parents came from the Ottoman Empire and ancestors from pre-Inquisition Spain — never understood the ban on rice and legumes, essential staples of the Sephardic diet and, in his opinion, banned based only on the whim of some long-dead rabbis. But my mother, while from a solidly Reform Jewish family, had a more traditional streak when it came to Passover foods. This meant that year after year, she won that discussion, and we all ate the Ashkenazic way, with just a few Sephardic dishes that complied with the Ashkenazi version of what was defined as “kosher for Passover.” In short, no rice for us growing up. Before we go any further, I should probably define what I mean when I say Sephardic. In its original meaning, the word applies to Jews descended from ancestors expelled from Spain and Portugal in the 15th century. These days, however, Sephardic has come to mean almost anyone and anything that is not Ashkenazic or Eastern European. This means Maghrebi Jews from North Africa and Mizrahi Jews with roots in the Middle East (Iran, Iraq, and Yemen) and Central Asia all get lumped together under the Sephardi heading. While I worry about the blurred lines between diverse Jews potentially losing pieces of Jewish culture and history, one big upside is that Sephardi food now encompasses many diverse delicious cuisines. 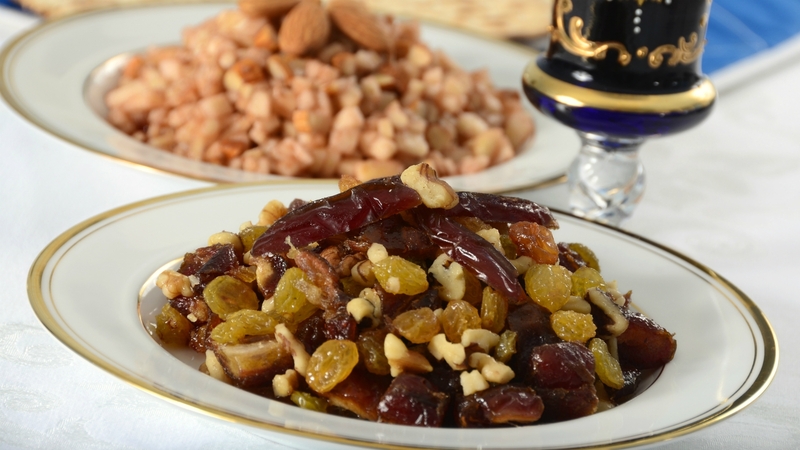 At Passover, for example, there’s an endlessly fascinating variety of haroset that developed based on using ingredients that grew nearby like dates, figs, apricots, raisins, oranges, and nuts like pistachios, almonds, and hazelnuts. I’ve been making Moroccan haroset balls for over two decades now and wouldn’t dare host a seder without them because I couldn’t deal with the disgruntled guests. I now also make a Persian mixture with four kinds of nuts and several fruits; then, in the holiday spirit, I plate it in the shape of a pyramid. 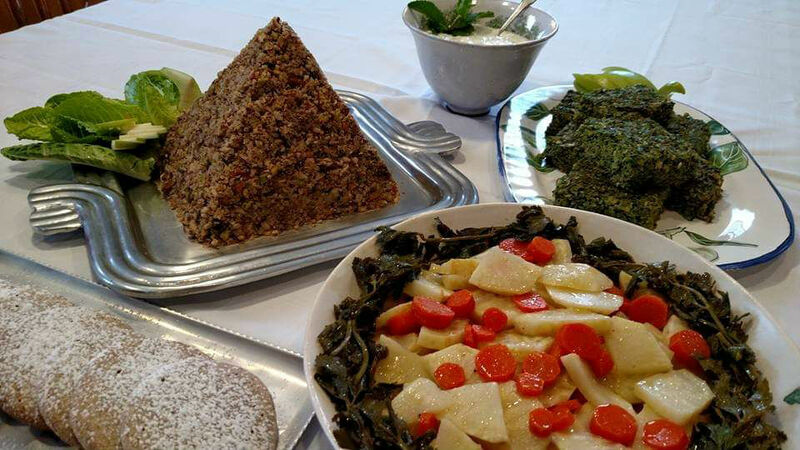 Leeks, artichokes, fava beans, and celery root are all considered essential ingredients for Sephardic Passover meals. One of my favorite vegetable dishes is quajado (which can also be spelled cuajado or kuajado), a sort of Sephardic kugel that’s soft on the inside with a bit of crusty exterior. The word comes from asquajado, Spanish for “coagulated.” Think of it as a frittata with less egg and more veggies, the most popular being leeks, eggplant, zucchini, potato, and spinach. It’s often made with cheese, which I sometimes leave out when making it for seder as a side dish or vegetarian main dish. It’s also terrific for lunch or dinner, or even breakfast when you get tired of eating leftover haroset on matzah. For an easy and full-of-flavor main meat dish, Moroccan chicken with preserved lemons and olives is a winning dinner that can be made ahead of time and set to reheat at a low temperature before serving. 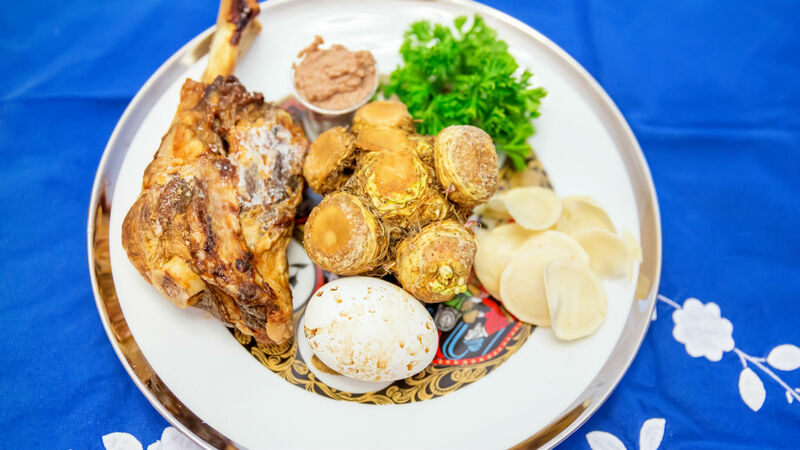 I made this chicken as guest chef for three Obama White House seders and, even more importantly, it’s the main dish my 22-year-old son requests for his seder each year. Two of the Sephardic dishes that were always on my seder table were huevos haminados and sponge cake. There were never regular hard-boiled eggs, but always the huevos cooked all day so the whites turn a light tan and the yolks become creamy. And always, always there was sponge cake, my Poppi’s absolute favorite. I didn’t know until, as an adult, I began to research Sephardic foods, that sponge cake came from the Jews of Spain, in the form of a light and citrusy pareve dessert called pan de Espagne. My family made the Passover version all year round, even for my father’s birthday. He always savored it with a cup of strong coffee. Put onion skins and peels in the bottom of a heavy pot. Add the eggs, gently wedging them in tightly in one layer, two if the pot is deep enough. Add the salt and whole peppercorns. Cover with cold water all the way to the top of the pot. Add some olive oil or other vegetable oil to form at least a partial coating on the top that keeps the water from boiling out as quickly. Bring to a gentle boil over medium-high, turn down to simmer, and let cook 6-8 hours uncovered. Add water if necessary so the eggs are always covered. When done, take the pot from the heat, immediately pour out the hot water, and add lots of cold water. You can put some ice cubes in as well or just keep adding cold water until the eggs cool. This method ensures you can peel the eggs easily. Enjoy at the seder or anytime with a squeeze of lemon. Note: When buying the celery root, it should be firm and have a gently sweet celery scent. Buy it with the stalks and leaves if you can as they are delicious to include in the dish. Fill a large bowl with cool water and squeeze the juice of one lemon into it. If there are stalks and leaves on the root, cut them off, wash the fresh-looking ones, and add them to the bowl of lemon water. Wash the celery root well. Peel it using a sturdy paring knife until the outside is clean. Cut away any of the flesh with dark brown marbling as it will be stringy. Cut each peeled celeriac in half, top to bottom. Lay the two large pieces flat sides down and slice about 1/4 inch thick. If the slices are large, cut in half again or in quarters, creating pie-shaped wedges. Put the cut pieces in the lemon water to keep them from turning dark before cooking. Peel the carrots and cut in pieces about 1/2 inch thick and add to the lemon water. In a separate bowl, mix together juice from the second lemon, sugar, salt, pepper, olive oil, and water. Using your hands or a slotted spoon, lift the celery root and carrot pieces out of the lemon water, letting them drain for a moment before putting them in a medium saucepan. When all the pieces are in, lay the celeriac stalks with leaves in top and then the large pieces of dill over that. Pour the liquid mixture over the vegetables. Turn the heat on medium-high just until the mixture boils, then turn the heat to medium-low, cover the pan, and let the vegetables simmer until all are tender, about 20 minutes. Uncover and let the vegetables cool down to room temperature in the pan. Gently remove the stalks and dill and set aside, then take the celery root and carrots from the pan with a slotted spoon, leaving the liquid behind. Turn the heat on medium under the remaining liquid and let simmer until reduced and thickened, about 20 minutes. Arrange the vegetable pieces on a serving plate. Add the stalks decoratively as well as the dill if desired. Before serving, pour the reduced sauce over the plated vegetables. Garnish with lemon slices and some freshly chopped dill or parsley. The cooked vegetables and reduced sauce can also be stored in a sealed container in the refrigerator for up to 4 days before plating and serving. Take potato salad to the next level with caraway seeds, fresh dill and spicy horseradish.